Members of the public can stop by The Igloo Ice Rink in Mt. Laurel for short sessions to learn the fundamentals of the sport. An intense match takes plays during a Jersey Pinelands Curling Club session in July of 2014. Chris Bucci and Ryan Van Natten try to land their rock in the house as Andrew Ward looks on. The spirit of the Olympic movement will soon roll into Mt. Laurel as the Jersey Pinelands Curling Club hosts a free “Try Curling” event for members of the public on Saturday June 3, from 7 to 11 p.m., at The Igloo Ice Rink, 3033 Fostertown Road, Mt. Laurel. Folks may have seen it on the Olympics, but now they can try it themselves at this event being held in celebration of Olympic Day. During the event, players will be taught the fundamentals of this 500-year-old sport, which the club describes as originally played on frozen ponds in Scotland in the 16th century, popularized throughout Canada in the mid-1920s and today growing in prominence in the United States as a result of its re-emergence as a marquis Olympic medal sport. Half-hour Try Curling sessions are free and open to participants ages 12 and up, with all equipment provided. Those interested are asked to register in advance at www.jerseycurling.org, with walk-ins accepted based on availability. “The Igloo has hosted curling since 2014 and we are excited to take part in Olympic Day and promote curling in our community,” said Rocky Marval, former U.S. pair skating Olympian and general manager at The Igloo Ice Rink. 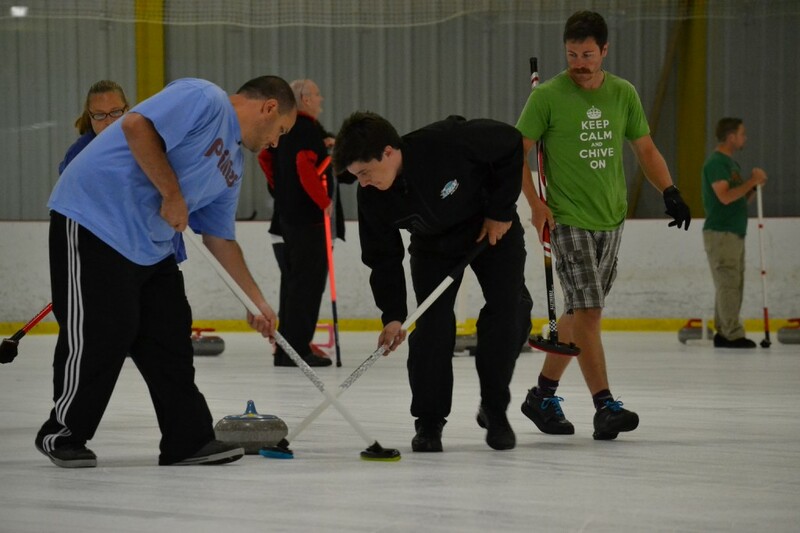 According to the club, Try Curling is one of more than 2,000 events taking place nationwide during the month of June. The events, designed to engage youth and promote the ideals of the Olympic movement, feature athlete appearances, family-friendly activities and interactive learning experiences. Those with the club say that more than 160 countries around the world take part in the annual celebration. According to the club, Olympic Day, created in 1948, commemorates the birth of the modern Olympic Games and focuses on the Olympic values and ideals such as fair play, perseverance, respect and sportsmanship. The Jersey Pinelands Curling Club, founded in 2014, bills itself as South Jersey’s only curling club, with the club hosting year-round curling at The Igloo in Mt. Laurel. Those interested can visit the club online at www.jerseycurling.org or on Facebook at JerseyPinelandsCurling or on Twitter/Instagram at jerseycurling.